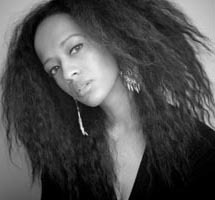 Mention the notable photography work of Rachel Eliza Griffiths to folks hip to contemporary African American poetry, and they're likely to add, "And she's a poet too." Like the poet-photographer Eugene B. Redmond, Griffiths's career as a poet and photographer complement each other. Her active participation in communities of writers, especially her work with Cave Canem, certainly relates to her efforts photographing so many poets associated with that group. Over the last couple of years, Griffiths has also had a productive publishing career: Miracle Arrhythmia (2010), The Requited Distance (2011), and now Mule & Pear. Poets are fortunate to get a single book published every four to five years, but that Griffiths has 3 book-length volumes and a coupe of chap books in just the last couple of years is uncommon and impressive. I imagine that we have large numbers of prolific writers whose poems never see publication. So, we might take note when a poet's productivity becomes public in a case like Griffiths's. Of Griffiths's works, Mule & Pear has perhaps received the most attention so far. That might have to do with the fact that the book received more pre-publication promotions, the poet was becoming increasingly more known, and the news of her previous books have given her and her work more visibility. I was drawn to Mule & Pear because it was mentioned that the book would contain persona poems, a mode of writing that really interests me. Since I teach African American literature, I was also fascinated by early announcements noting that Griffiths writes in the personas of well-known figures from novels by leading black women novelists such as Toni Morrison, Alice Walker, and Zora Neale Hurston.